In figure, name all the pairs of adjacent angles. (ii) each pair of vertically opposite angles. 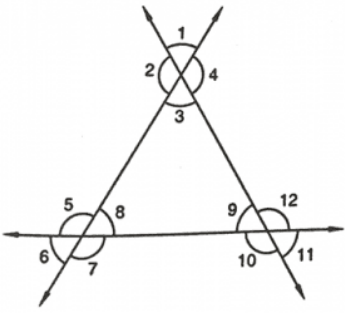 (i) The two adjacent angles are said to form a linear pair of angles if their non – common arms are two opposite rays. 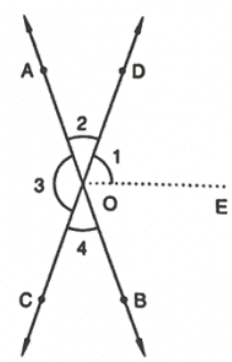 (ii) The two angles formed by two intersecting lines and have no common arms are called vertically opposite angles. 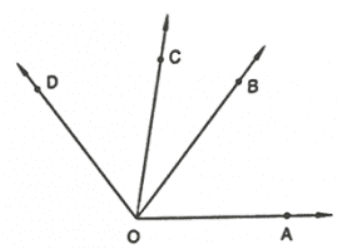 Are the angles 1 and 2 in figure adjacent angles? No, because they do not have common vertex. (i) 25° + 65° = 90° so, this is a complementary pair of angle. (ii) 120° + 60° = 180° so, this is a supplementary pair of angle. (iii) 63° + 27° = 90° so, this is a complementary pair of angle. (iv) 100° + 80° = 180° so, this is a supplementary pair of angle. Here, (i) and (iii) are complementary pair of angles and (ii) and (iv) are supplementary pair of angles. Because, the sum of two angles is greater than 90 degrees so their sum will be greater than 180degrees. 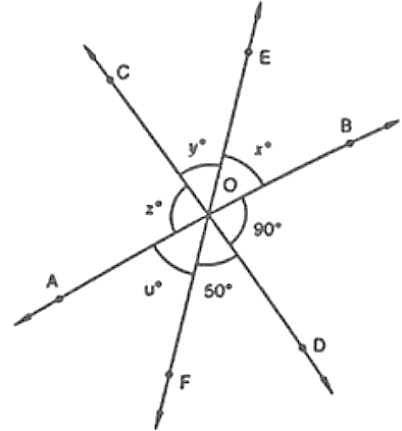 Because, the sum of two angles is less than 90 degrees so their sum will also be less tha 90 degrees. 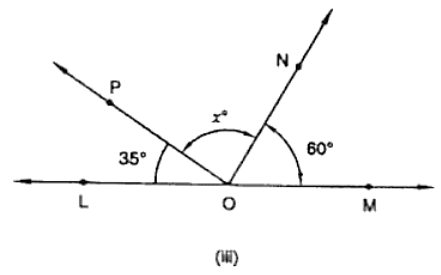 Name the four pairs of supplementary angles shown in Fig. 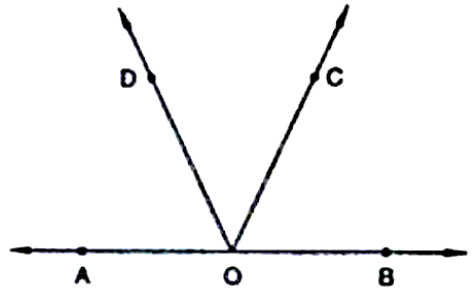 In Figure, A, B, C are collinear points and ∠DBA = ∠EBA. (i) Name two linear pairs. 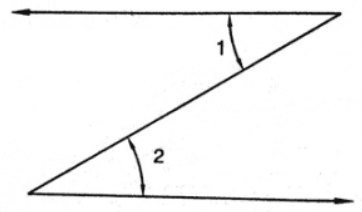 (ii) Name two pairs of supplementary angles. If two supplementary angles have equal measure, what is the measure of each angle? 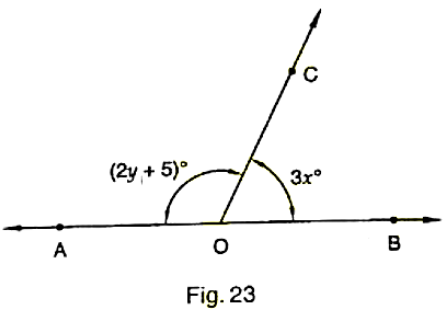 If the complement of an angle is 28°, then find the supplement of the angle. 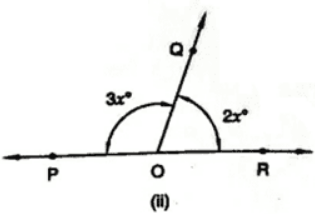 In Figure, name each linear pair and each pair of vertically opposite angles. Two adjacent angles are said to be linear pair of angles, if their non-common arms are two opposite rays. The two angles are said to be vertically opposite angles if the two intersecting lines have no common arms. 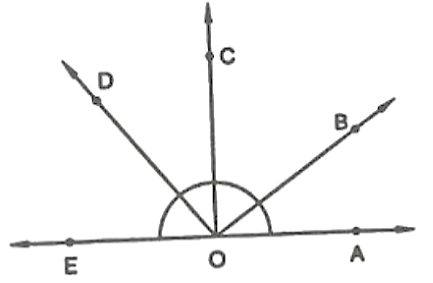 One of the angles forming a linear pair is a right angle. What can you say about its other angle? One of the angles forming a linear pair is an obtuse angle. 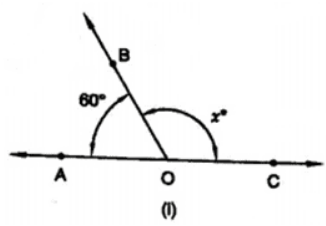 What kind of angle is the other? 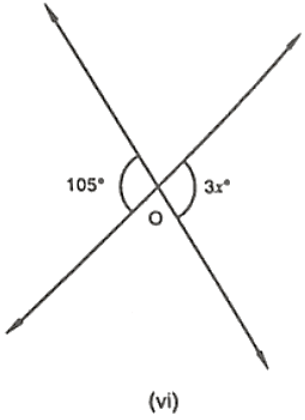 One of the Angles of a linear pair is obtuse, then the other angle should be acute, only then their sum will be 180°. 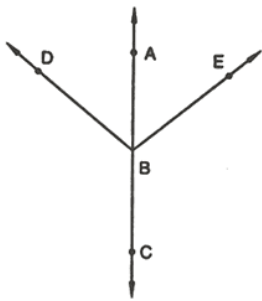 One of the angles forming a linear pair is an acute angle. What kind of angle is the other? 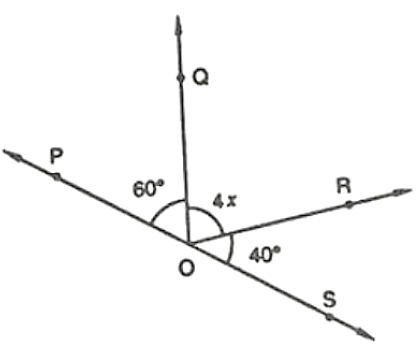 One of the Angles of a linear pair is acute, then the other angle should be obtuse, only then their sum will be 180°. 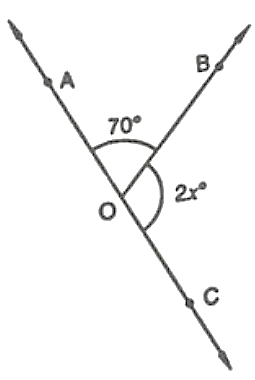 Can two acute angles form a linear pair? No, two acute angles cannot form a linear pair because their sum is always less than 180°. 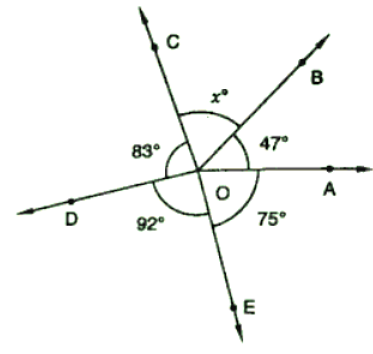 If the supplement of an angle is 65°, then find its complement. 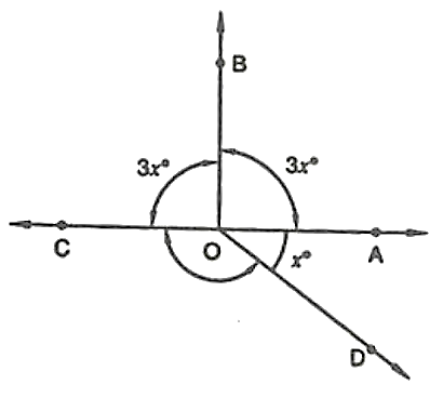 But the complement of the angle cannot be determined. In Fig. 22, it being given that ∠1 = 65°, find all the other angles. (i) If x = 25°, what is the value of y? (ii) If y = 35°, what is the value of x? 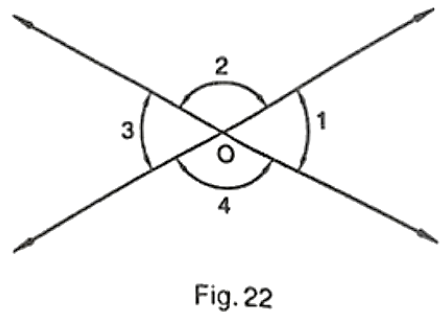 In Figure, write all pairs of adjacent angles and all the linear pairs. 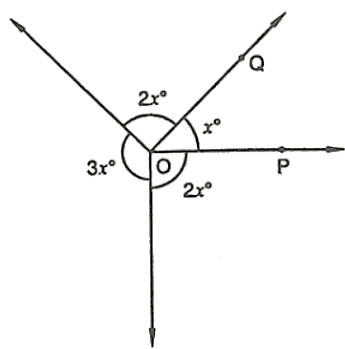 How many pairs of adjacent angles are formed when two lines intersect in a point? 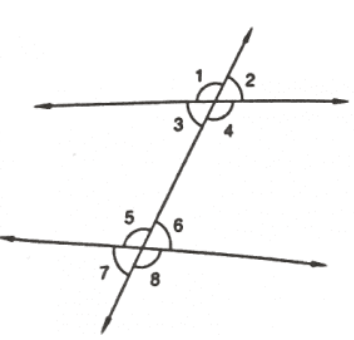 If the two lines intersect at a point, then four adjacent pairs are formed and those are linear. 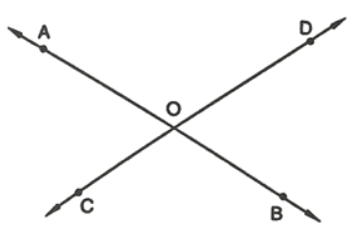 How many pairs of adjacent angles, in all, can you name in Figure? In Figure, determine the value of x. 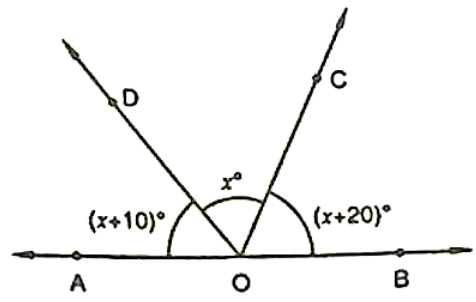 In Figure, AOC is a line, find x. In Figure, POS is a line, find x. 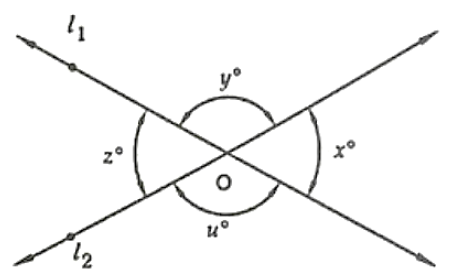 In Figure, lines l1 and l2 intersect at O, forming angles as shown in the figure. If x = 45°, find the values of y, z and u.